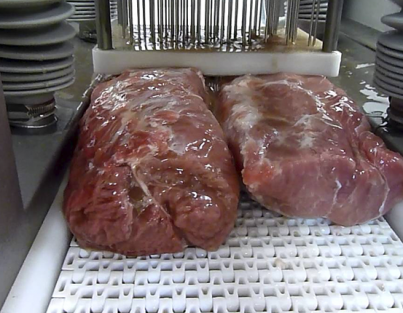 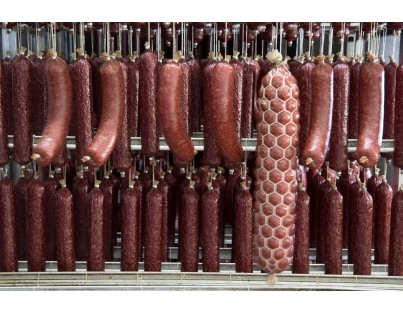 The Expert for meat with big chamber - whether meat or poultry, fresh or frozen, the unique 4-sided pre-compression guarantees high cutting quality. 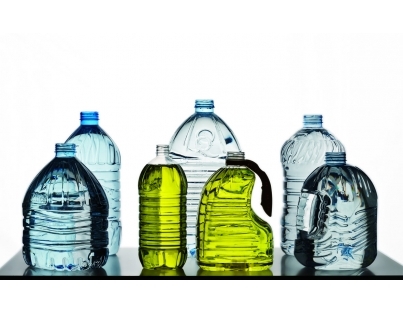 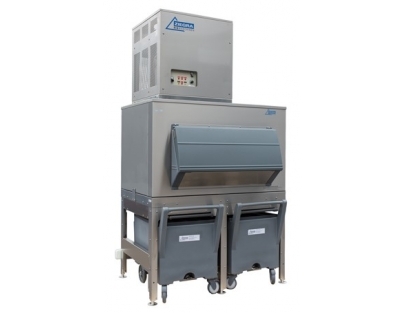 The extra-long working chamber provides high throughput with minimal preparatory work. 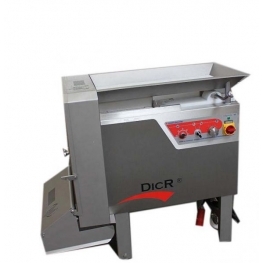 The All-rounder perfect for slicing meats, cheeses, vegetables, fruits, eggs, fish and a variety of other products. 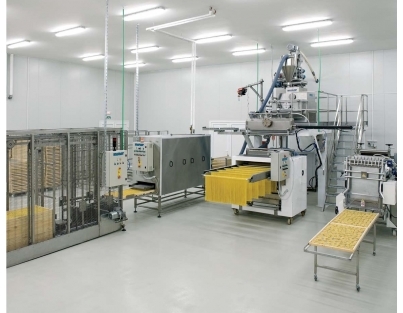 The extra-long working chamber provides high throughput with minimal preparatory work. 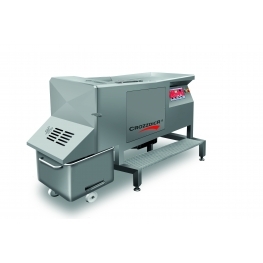 The Meat Specialist with big chamber - whether red meat or poultry, fresh or frozen, the unique 4-sided pre-compression guaranteed highest cutting quality. 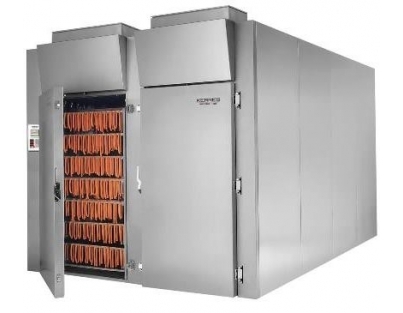 The extra-long working chamber provides high throughput with minimal preparatory work. 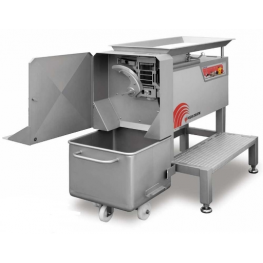 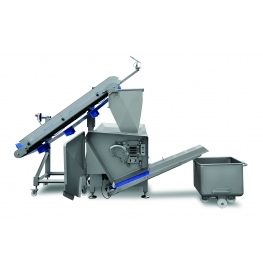 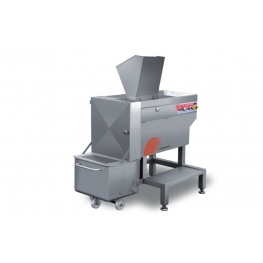 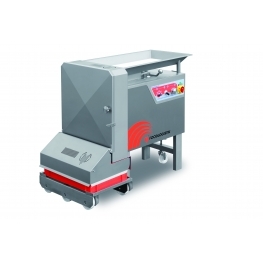 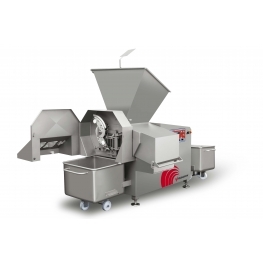 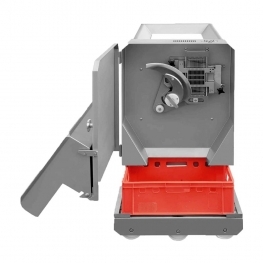 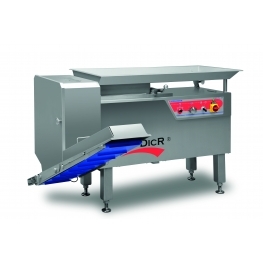 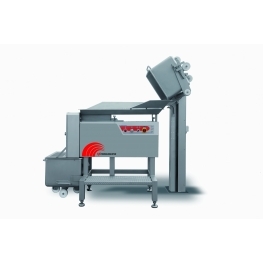 The All-rounder with the big chamber volume is perfectly suited for the cutting of meat, cheese, vegetables, fruit, eggs, fish and a variety of other products. 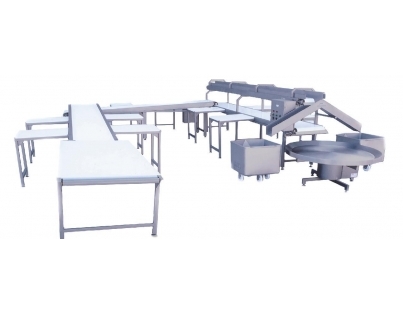 The extra-long working chamber provides high throughput with minimal preparatory work. 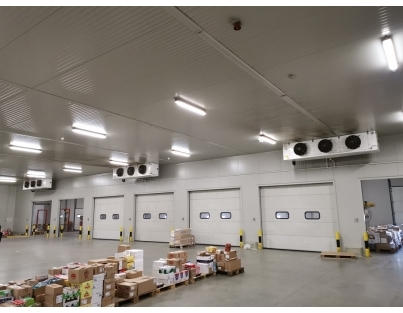 Многофункциональный дайсер идеально подходит для нарезки мяса, сыра, овощей, фруктов, яиц, рыбы и множества других продуктов. 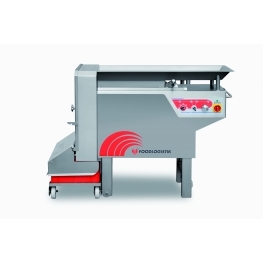 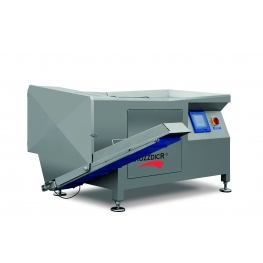 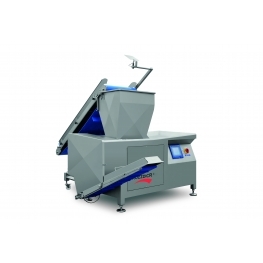 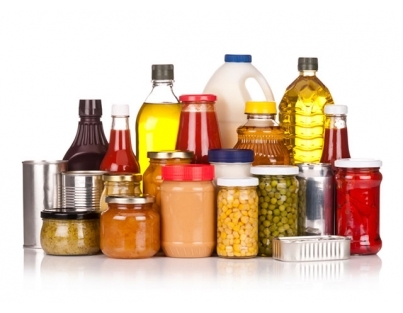 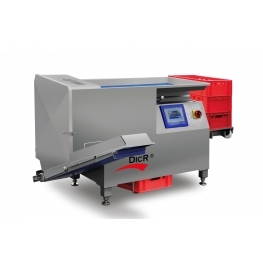 Your first choice for fully automatic loading and processing of calibrated cheese products.